In the audio-visual performance ‘Ground’, Dewi de Vree and Jeroen Uyttendaele render the acoustic tactile. Fascinated by ways of rematerialising an increasingly dematerialised world, their work can be seen as an attempt to approach electronic music in an intuitive and engaging manner. Using graphite, a material that conducts electricity, they make drawings that become an integral part of an electronic circuit. The drawings function as the interface to control the volume, pitch and amplitude of a series of electronic sound generators. As the lines drawn intersect or encounter other conductive elements – such as the hands of the performers – the sound is modulated. 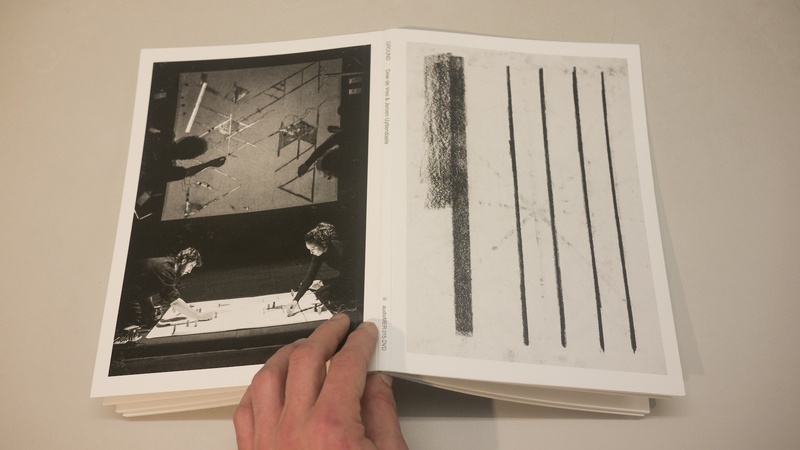 The result is a performance that blends senses together, creating tension between the unpredictable, aleatoric qualities of the instrument and the order of lines that the performers impose upon it, which form the rudimentary ‘score’ of the piece. 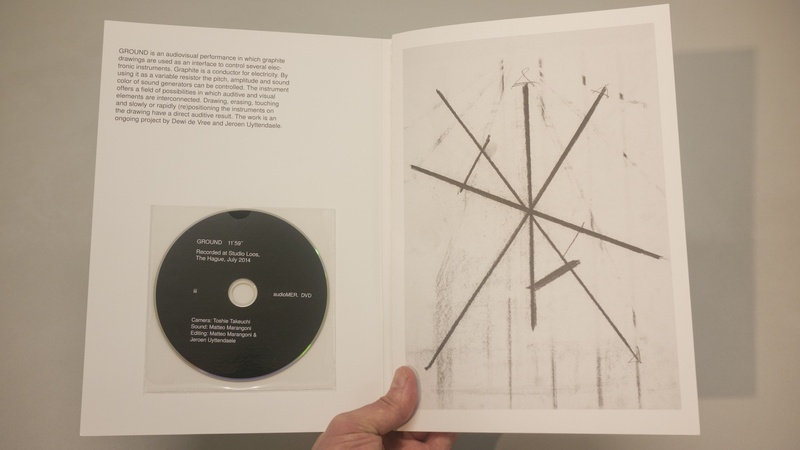 This book presents a collection of 51 of these graphite drawings and is accompanied by a video recording of ‘Ground’ performed by the artists at Studio Loos in The Hague.